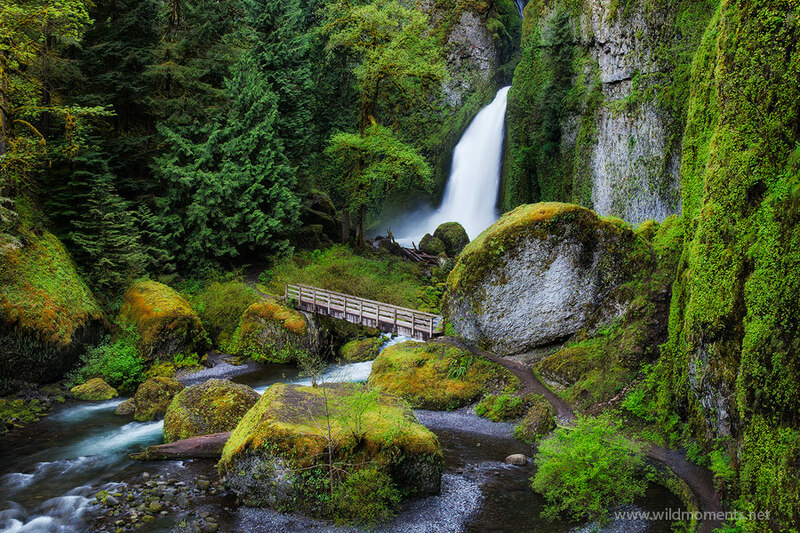 Wahclella Falls is one of the most photographed waterfalls in the Columbia River Gorge and for good reason. This image was captured in early May during the peak of spring greens. Photo © copyright by Michael Greene.